The Frighteners is a bizarrely compelling, laugh-out-loud exploration of societies’ fascination with the dark, spooky, and downright terrifying side of life. The author--self proclaimed “sinister minister”--opens the book by reflecting on how he went from a horror-obsessed atheist to a God-fearing Christian and then reconciled his love of the macabre with his new faith. In the chapters that follow, Laws takes us on a worldwide romp to shine light on the dark corners of our own minds. An American hell house--controversial Christian “haunted houses” that act out the horrors of abortion, drug use, etc.—hosts his reflection on the use of horror in religion. A party in London with real life “vampires” exemplifies modern sexual fascination with the parasitic undead. He goes ghost hunting in an underground barbershop where a murderer used to cut hair. A professor in Denmark who is an expert on the recent Slenderman court case helps him explore the link between technology and the supernatural. In accessible and light-hearted prose, Peter Laws takes us from the dark corners of his mind to the underbelly of various macabre cultures to illuminate society’s preoccupation with death and horror. 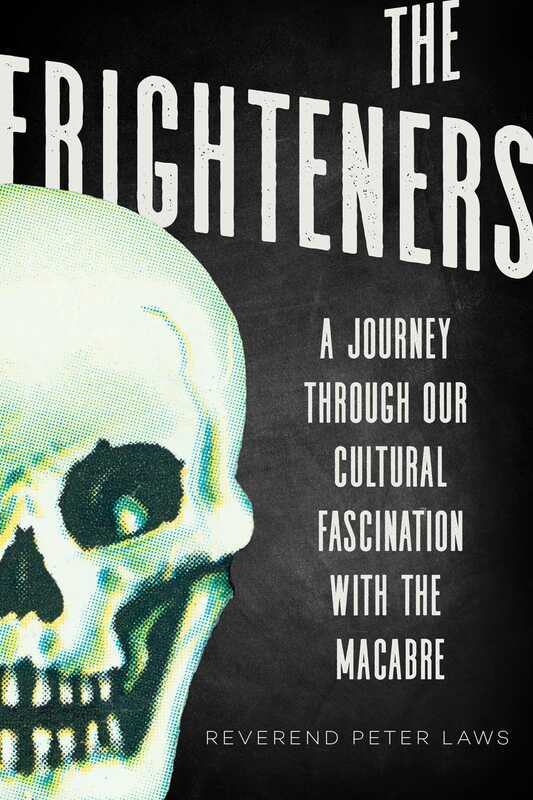 The Frighteners combines psychology, religious theory, and personal memoir to create a dynamic and fascinating read that is informative and entertaining.